Veracyte said today that a study published today includes data that shows the potential of the company’s non-invasive nasal test to help improve the safety and accuracy of lung cancer detection among current and former smokers. Dr. Spira led a team from Boston University in carrying out earlier research showing that cells in the central bronchial airways of the lung exhibit measurable cancer-associated gene-expression changes due to smoking. 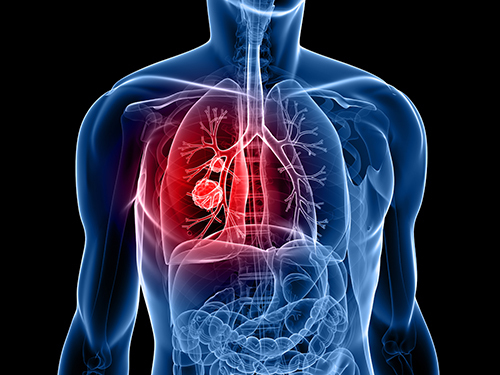 These changes comprise a “field of injury” serving as a biomarker distinguishing people who have ever smoked with lung cancer from those with benign lung disease, independent of clinical risk factors. Veracyte’s Percepta Bronchial Genomic Classifier is designed to detect field-of-injury-associated genomic changes in cells collected by bronchoscopy, to determine the likelihood that a lung nodule or lesion detected by CT scan is cancerous. In the study published today in the Journal of the National Cancer Institute (JNCI), Boston University researchers sought to expand on the earlier research by assessing whether smoking produces similar field-of-injury genomic alterations in the cells lining human nasal passages. Investigators prospectively collected nasal epithelial cells from 505 current and former smokers undergoing diagnostic evaluation for pulmonary lesions in two, prospective multi-center clinical studies, AEGIS-1 and AEGIS-2. After a year of follow up, researchers identified differentially expressed genes in the nasal epithelium of AEGIS-1 patients who were diagnosed with lung cancer vs. those with benign disease. The investigators also confirmed significant consistency between the field-of-injury alterations found in paired samples of cells from the lower and upper airways, such as bronchial and nasal epithelial cells. In the studies, Percepta combined with bronchoscopy demonstrated a cancer-detection sensitivity of 97% compared to 75% sensitivity for bronchoscopy alone. The test demonstrated a negative predictive value of 91% in identifying patients at “low” (less than a 10% risk) of cancer, allowing these patients to be monitored noninvasively with imaging. The researchers concluded that a non-invasive nasal classifier consisting of 30 of the most differentially expressed genes significantly enhanced the ability of a risk model based only on clinical factors such as age and smoking status to predict lung-cancer status.